For the last two years I’ve been piecing together the lives of my father’s birth parents. Like Stewart I began with an idealistic dream of meeting blood thicker than water soul-mates; first meetings in heady slow-motion with – if not my birth grandparents – then aunts*, uncles and cousins that feel automatically, naturally, mine. Relatives in whose faces I see myself, and my children. Reality couldn’t have been more different. The lives of the grandparents I never knew were pocked with tragedy, depression, broken hearts, alcoholism and suicide. After everything I have uncovered, I can honestly say I didn’t try and fit my findings to what I wanted them to be, which at times it felt Stewart was doing. The last few chapters of Stewart’s book felt like an apology to those he has alienated by asking too much, too often, with little regard of how it affects their life. 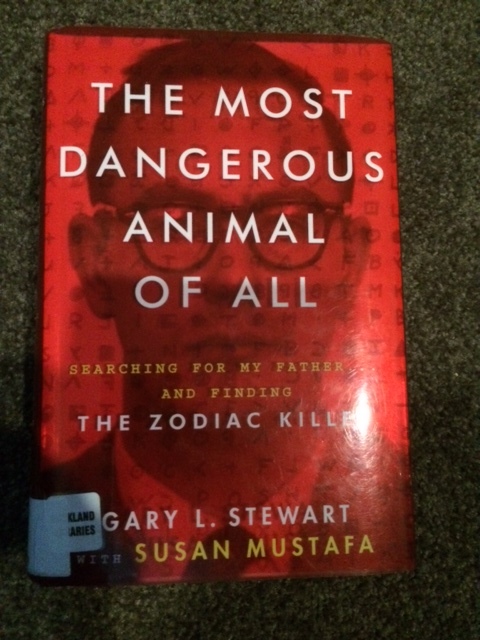 The writing didn’t blow me away (I didn’t note down any passages in particular), but Stewart’s intriguing journey swept me along, keeping my light on far past midnight. I find it interesting Stewart’s fervent religiousness was omitted until the final chapters – possibly so as not to alienate non-religious readers? But I can’t argue with the concept that it was something, beyond the explainable, which had Stewart – and my father – removed from an insufferable life. * Aunty Jan, so far, you are the one gloriously light-filled exception. ← Was it You? Did You Win a Copy of ‘The Free’ by Willy Vlautin?